I asked several friends for a tour of their wallet. My mom&apos;s on the hunt for a new wallet, which means we&apos;ve had a lot of conversations about exactly what she&apos;s looking for. She&apos;s insistent on a version that lies completely flat when opened, a detail that I would never consider, but one that apparently is non-negotiable for her (perhaps it&apos;s a generational thing when you used to write tons of checks?). 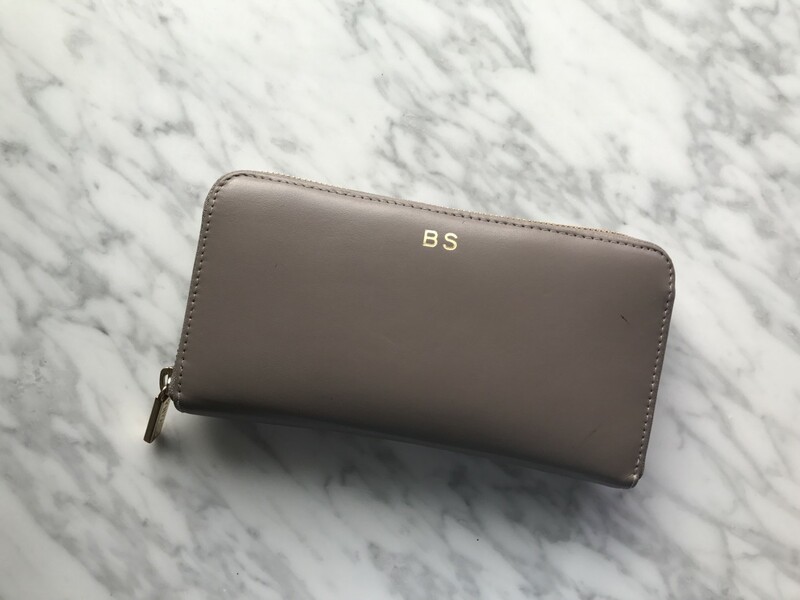 It&apos;s such a personal purchase and it made me realize that everyone has very specific needs when it comes to our wallets. I also theorize that the kind of wallet you have, what you carry inside, and how it&apos;s organized tells a lot about your personality. I asked some of my friends for the details and share some of my weird preferences as well. Why you bought it: My last wallet was completely falling apart and couldn&apos;t accommodate everything lug around with me on a daily basis. Plus, I like to always get myself one nice holiday gift. Must-have feature in a wallet? Tons of room for cards. I only have two credit cards, but I lug around approximately 15 to 20 gift cards. The irony is that I rarely remember they&apos;re in there until after I&apos;ve made a purchase. I also still appreciate a zip-up section for loose change, even though mine is only filled with pennies. If we opened your wallet tomorrow, what would we find? A good amount of cash (it gives me anxiety thinking about leaving a parking structure or valet and realizing I&apos;m out of it), two pounds of pennies, and lots of cards (some of which are bent because Sloan uses them to "buy bagels"). Do you carry cash? Always. Plus it&apos;s nice to be the friend who others can depend on for that sort of thing. Oh and I always find myself in situations where I actually need it—the farmers&apos; market, the fruit stand, etc. What&apos;s the last thing you put in your wallet? A receipt from lunch, that I didn&apos;t need to keep. Things have a way of getting rather disorganized almost immediately. Do you keep anything nostalgic in your wallet? I keep two things: my driver&apos;s license with my maiden name (since I still go by "Emily Schuman" professionally, sometimes I need a picture ID to identify myself) and my first ATM card. I&apos;m no longer with that bank, but it reminds me of my grandfather, who helped me open up my first account in 1992. Do you keep any gift cards in your wallet? Dozens. How does your wallet reflect the rest of your life/your personality? It looks rather clean and organized from the outside, but there&apos;s no coherent system on the inside. That certainly reflects the rest of my life in that I manage to get by, but not due to any semblance of organization or good time management. I kind of figure everything out as I go along. 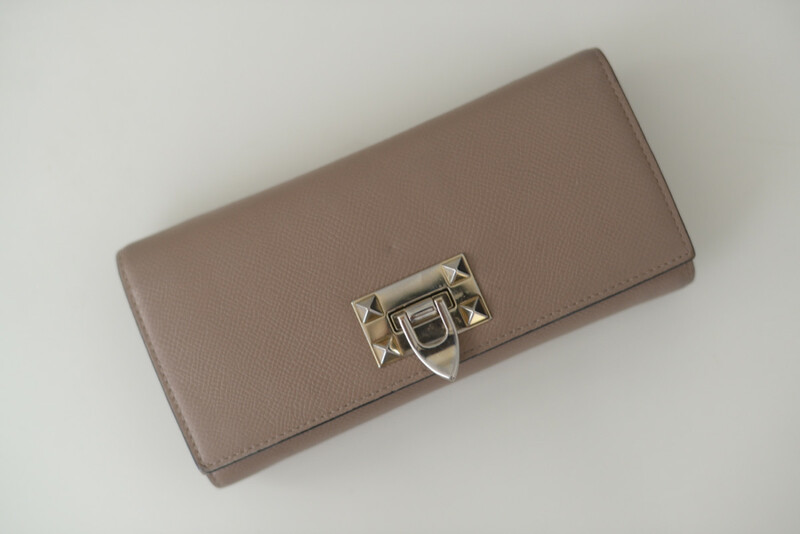 Why you bought it: I used to exclusively carry small purses, which dictated that I carry small wallets. However, I finally decided that my small wallet was too constricting and annoyingly didn&apos;t fit enough, so I upgraded to a billfold wallet. Must-have feature in a wallet? Capacity is the number-one feature that I want. Capacity but with a low profile. 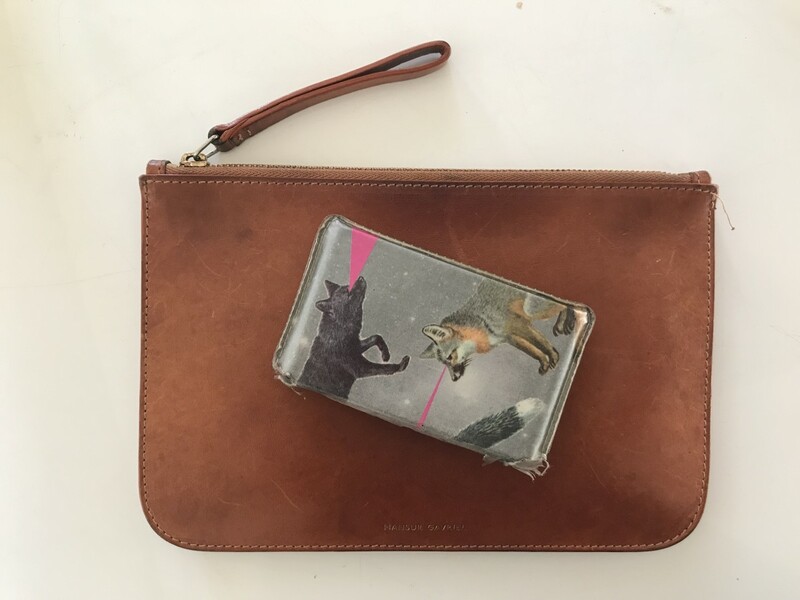 I often like to carry my wallet sans purse when I&apos;m running around on the weekends or throw it into my work bag during the week. I want my wallet to hold just about everything I need while not being too big and bulky. If we opened your wallet tomorrow, what would we find? 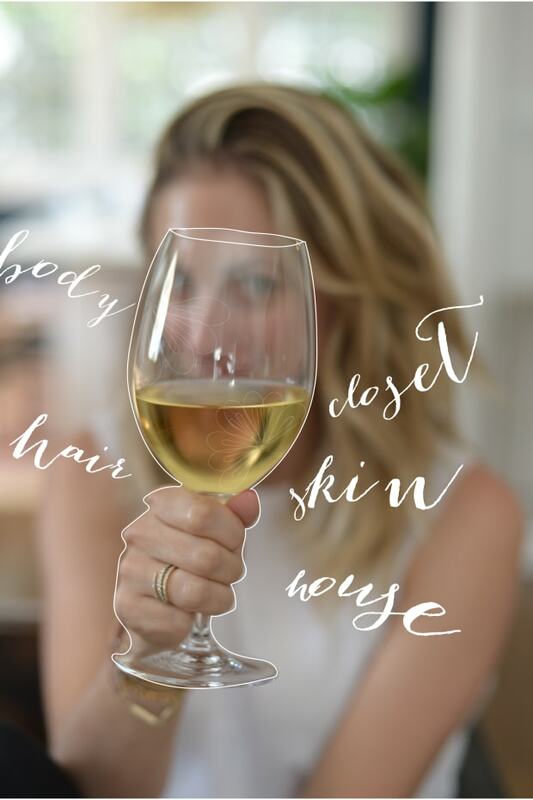 I am a sucker for a loyalty program. My wallet is full of punch cards from all my neighborhood haunts: my local car wash, frozen yogurt place, plant nursery, poké restaurant, coffee shop. I have quite the collection. What&apos;s the last thing you put in your wallet? A receipt, adding to my enormous stack of them. One day I&apos;ll find the time to do my work expenses. Do you keep anything nostalgic in your wallet? When we were young, my sisters and I collected souvenir pennies. You remember those machines at family-friendly establishments like Disney World where you would put a penny in and for $.50 the machine would smash it and emboss a design? Last year, my sister, mom and I took a road trip through Nashville and we came across one of those machines so I now have two smashed pennies from the Country Music Hall of Fame that I carry with me. I also have two ringgits that hang with the dollars in my wallet from a recent trip to Malaysia. I didn&apos;t convert them back to dollars when I got home and I keep them to serve as a nice reminder of my trip and how much I need to plan the next one. Do you keep any gift cards in your wallet? I don&apos;t because of an unfounded fear of losing them. It would probably be far handier if I kept them more conveniently located in my wallet. Consequently, I have a collection of gift cards stacking up on my desk at home. How does your wallet reflect the rest of your life/your personality? For the most part, my wallet is very organized. Lots of receipts, punch cards, etc., but everything has its place. Year purchased: 2017 on a trip to Paris! 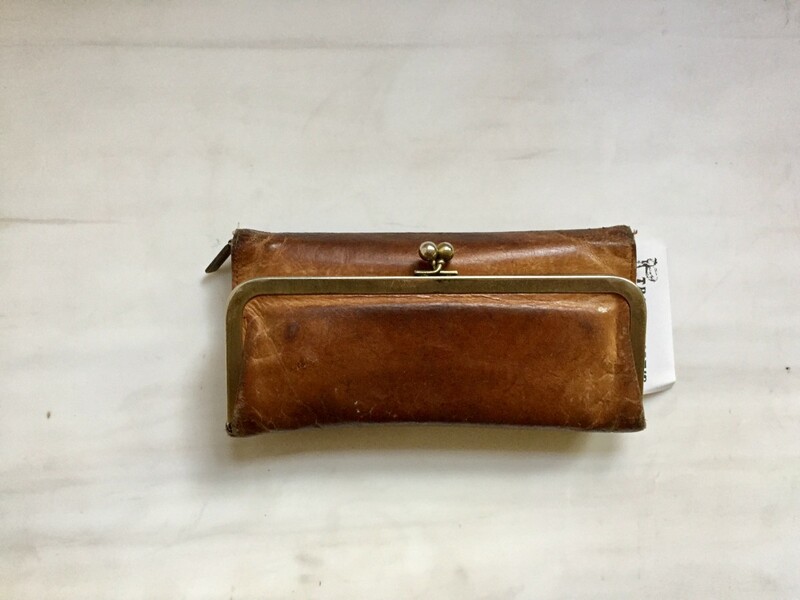 Why you bought it: My previous wallet was neon-orange and falling apart to the point that it made me embarrassed to pull it out. 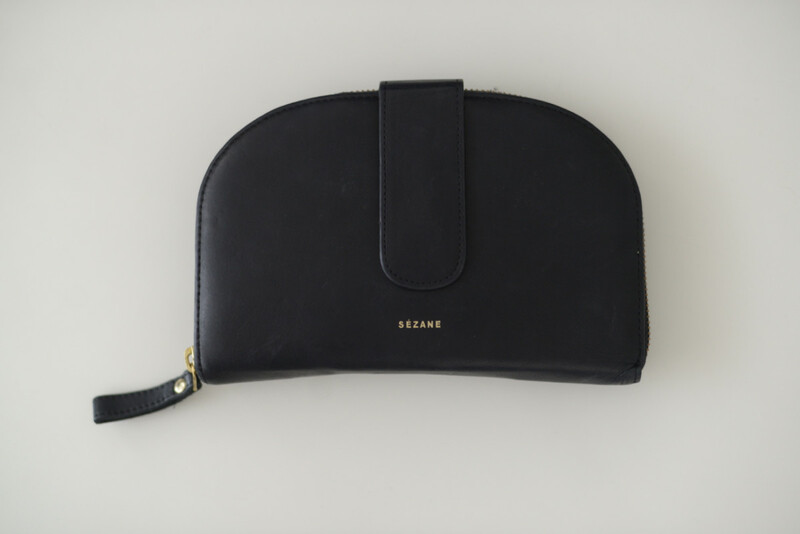 I was actually planning on buying a purse at Sézane, but fell in love with this wallet instead when I saw it in person! Must-have feature in a wallet? That it&apos;s large enough to fit a passport and boarding pass (not that I always need those things in my wallet, but it&apos;s so convenient when I do!). If we opened your wallet tomorrow, what would we find? 8,000 receipts. My parents are traditional in that they keep paper records of everything, but I can&apos;t remember the last time I&apos;ve needed to use a receipt from the gas station, so I&apos;m not entirely sure why I fold them into the middle section of my wallet. Do you carry cash? Yes, for street tacos and tips! What&apos;s the last thing you put in your wallet? Wish I could say something cool here (a lucky penny? mysterious gentleman&apos;s phone number? ), but it was the followup appointment card from my dentist. Do you keep anything nostalgic in your wallet? I carry a charm from my college sorority in my wallet, not because I loved my sorority years (probably a story for another time! ), but because the charm helped me avoid a disastrous stolen wallet/passport situation years ago on an overnight train through Slovakia (also a story for another time!)... so I&apos;m a little superstitious about it. Do you keep any gift cards in your wallet? Lululemon (it&apos;s about 6 years old... I&apos;ve been hoarding it) and Blue Rooster Art Supply in Los Feliz. How does your wallet reflect the rest of your life/your personality? The main section is incredibly organized—I only have one credit card and keep my ID, insurance card, and school ID (for museum discounts!) 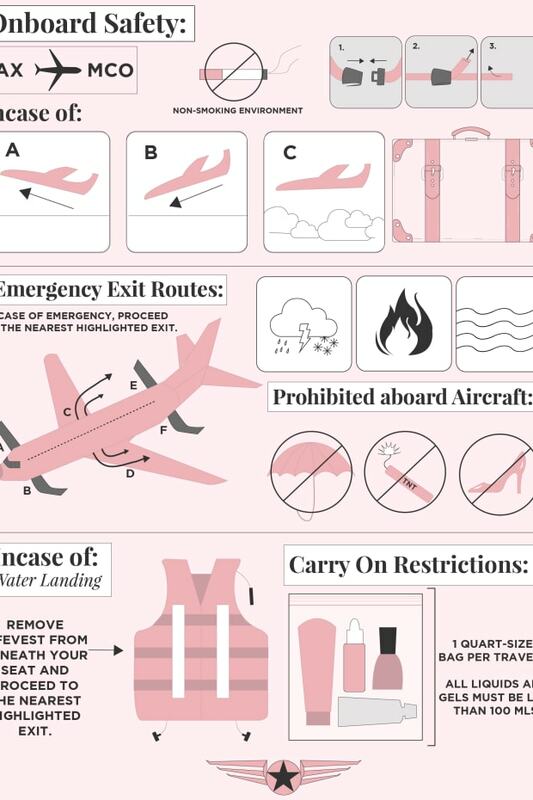 in designated sections, but if you were to open up the center section, you&apos;d find receipts and boarding pass stubs dating back years. Despite my best efforts to keep everything neat, I&apos;m messier than meets the eye. Why you bought it: I wanted something in leather because I wanted it to last as long as possible and I liked all the pockets (I swear I didn&apos;t purchase it because of the name). Must-have feature in a wallet? SPACE. I&apos;m not sure why I have to carry so much stuff in my wallet (it&apos;s basically the size of a small clutch) but I can&apos;t seem to downsize. I think it might be a hold-over from taking public transit for so long? When you don&apos;t have a car, your wallet has to hold all the random membership cards and stuff you would normally shove in the glove compartment. I finally got a car again a year ago and I drive every day, but I realized recently that my glove compartment is still completely empty and my wallet is still stuffed, so I guess I haven&apos;t readjusted. If we opened your wallet tomorrow, what would we find? At least a dozen punch cards to places I&apos;ve only been once or twice (boba, frozen yogurt, eyebrow threading—I&apos;m a sucker for a punch card). I rarely make it to the "free" square, but I like to keep hope alive. Do you carry cash? Rarely. If I have cash, I&apos;ll spend it on stupid little things like vending machine snacks, so I avoid carrying it. What&apos;s the last thing you put in your wallet? A receipt from Trader Joe&apos;s. I try to enter receipts in my budgeting app as soon as I make a purchase but instead I always end up shoving them in my wallet. Do you keep anything nostalgic in your wallet? Not on purpose. I currently have a button from my dad&apos;s old leather couch that gets me a little sentimental, but it&apos;s only in there because I keep forgetting to give it to my sister. Do you keep any gift cards in your wallet? Yes. I often get gift cards from work so I almost always have Jamba Juice and Starbucks cards in there, and because I don&apos;t usually go to either place, it takes me forever to spend them. But right now I also have a Tavern gift card and every time I see it I get excited (their happy hour is one of my all time faves). How does your wallet reflect the rest of your life/your personality? I&apos;m pretty practical but I still like nice things, and this wallet is a good example. I picked it out carefully, it&apos;s super durable but looks classic, and I plan to keep it until it completely wears out. Why you bought it: I honestly just needed a new wallet. The one I had, I&apos;d purchased in college and was bright-blue patent leather (not sure what I was thinking). Must-have feature in a wallet? I love a divider and a straight wallet to keep the cash organized. It&apos;s just easier to see everything and keeps everything organized. If we opened your wallet tomorrow, what would we find? I always carry cash, my business cards, a Backyard Bowls punch card, my nail salon&apos;s punchcard, and a few keepsakes. Do you carry cash? Yes, always. What&apos;s the last thing you put in your wallet? I don&apos;t really change my wallets, this is my only one, so I guess that&apos;s a hard question to answer. Do you keep anything nostalgic in your wallet? 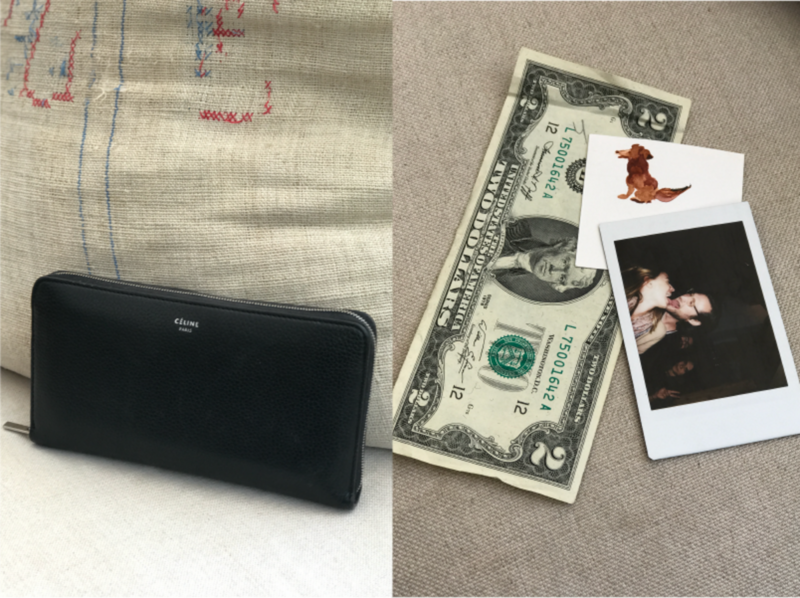 A polaroid of my husband and me, a watercolor my grandmother painted of my dog, Tina (she did a bunch of watercolors for my wedding invitations), and a two-dollar bill for good luck. Do you keep any gift cards in your wallet? I currently have a Barney&apos;s gift card that I haven&apos;t had the time to use. Year purchased: I probably purchased the original card case five years ago—since it&apos;s plastic, I&apos;ve had to purchase multiple others (I now have a small back stock of them). Clutch came with a bag I stopped using a while ago, but I&apos;m obsessed with the clutch. Why you bought it: The card case has foxes with laser beams coming out of their eyes!!! It is just too funny and weird and amazing! Also, such a conversation starter. I can&apos;t tell you the number of times people have asked me what is going on with it. Must-have feature in a wallet? 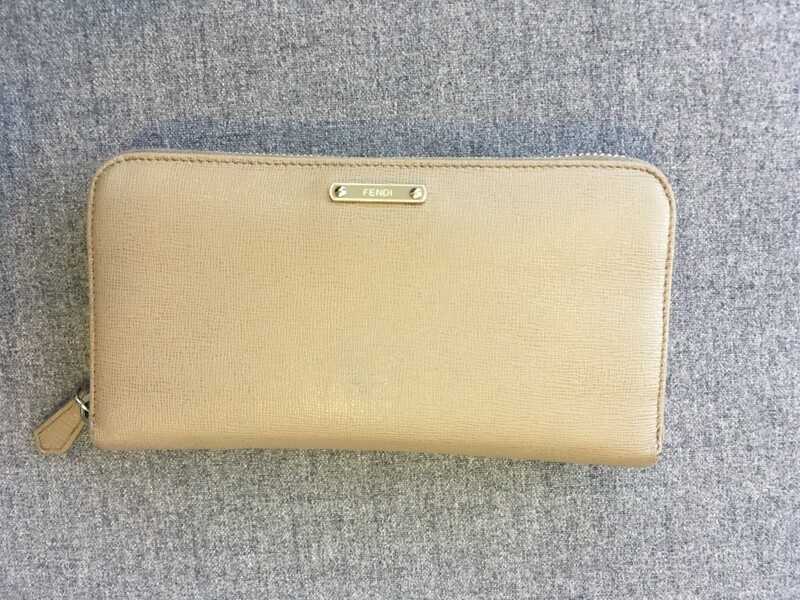 I like having the card case / clutch combination because I can throw the whole thing in a larger bag, but also pull it out for going to a date night. If we opened your wallet tomorrow, what would we find? Normal stuff—wish I could say something more exciting, but credit cards, loose change, the occasional frequent customer stamp card from a car wash (which I always save but never go to). Do you carry cash? I wish!!! If I have cash, it&apos;s gone in a matter of seconds. What&apos;s the last thing you put in your wallet? Matches—I always grab them at restaurants. Do you keep any gift cards in your wallet? Around the holidays when I have gift cards, yes! How does your wallet reflect the rest of your life/your personality? I think it&apos;s a bit of organized chaos which I kind of think my life is. Why you bought it: It was a Christmas gift from "Santa," a.k.a. my parents. Must-have feature in a wallet? It zips all the way around. I work in an industry where I need to keep lots of receipts, so the zip feature keeps everything together and from falling out. Also, it gives an illusion of tidiness. If we opened your wallet tomorrow, what would we find? Do you carry cash? Pretty much never. Just ask Emily, I constantly hit her up for valet $. Unless, I&apos;m traveling—I always get cash at the airport. What&apos;s the last thing you put in your wallet? My Priority Pass airport lounge membership card (was just doing some work travel). Do you keep anything nostalgic in your wallet? 1. A small green piece of paper with Chinese characters on it that I got at a temple Downtown during Chinese New Year many years ago. It&apos;s to help my fortune during the years where the Ox isn&apos;t positioned well astrologically. 2. At my close friends&apos; wedding, they wrote hand-written notes on the back of everyone&apos;s place-card. They are very kind words so I like to have it as a reminder. 3. Ticket stub from the Newseum in Washington, D,C. I keep it because it reminds me of a great trip I took with a best friend where we totally geeked out in one of my favorite cities. How does your wallet reflect the rest of your life/your personality? It&apos;s neutral, which sort of represents my fashion aesthetic. Also, it&apos;s made of decently stain-resistant leather, which is crucial as I&apos;m not very careful with my things. 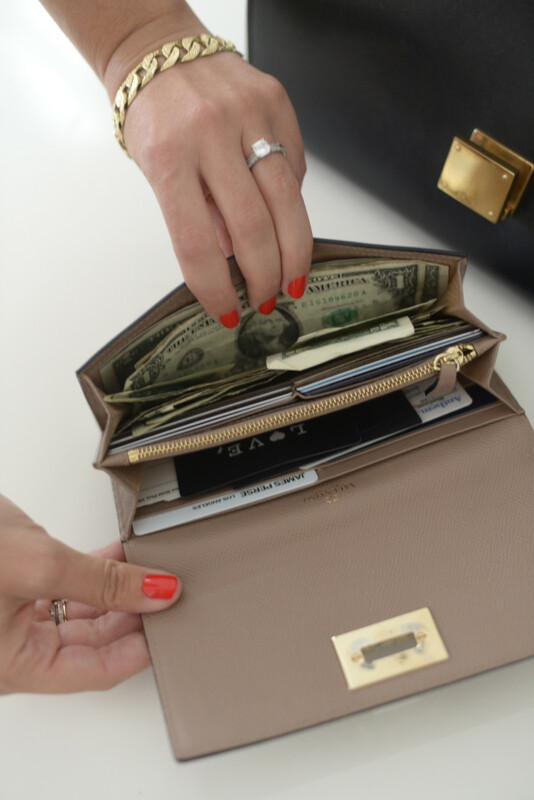 Do you carry anything surprising in your own wallet? Let me know in the comments below! 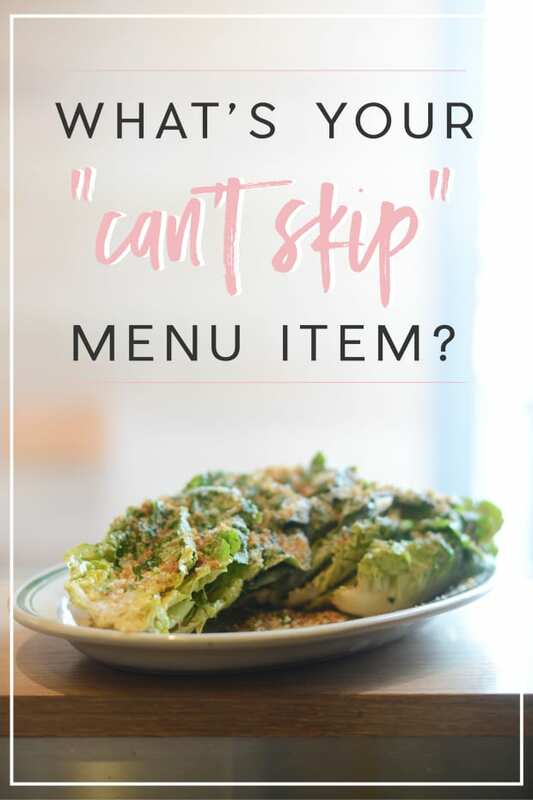 What's Your "Can't Skip" Menu Item?